Marty McDonald, executive vice president at Fahlgren Mortine, a full-service integrated marketing agency headquartered in Columbus, Ohio, says a discovery phase is where they start with their clients to get back to that question of “why.” They look at the past and current state of the company or initiative and consider what’s working and what isn’t. “We’re given permission to be curious and get back to the questions that matter. It sets the foundation for everything we do from that point forward,” McDonald says. And this applies to not just working with new clients, but new campaigns or phases of work with existing clients. In the video below, McDonald explores what this discovery process looks like at the Fahlgren Mortine. Fahlgren Mortine’s Marty McDonald talks about the discovery process. This discovery phase is a crucial step in developing sound strategy. It can be difficult when a client or others within a company start with a course of action already in mind or come in anxious for creation of tangible products. McDonald says Fahlgren sets the expectation up front for why their team is asking so many questions and explains to clients that the point will come where they shift from asking questions and gathering input to implementing action steps. Discovery can move at different speeds and dig to different depths depending on available time and money and the needs of the project. “That’s really the crux of what we do as communicators. We figure out what’s going on and where we’re going. Filter out what matters and what’s important. Start making new recommendations,” says McDonald. 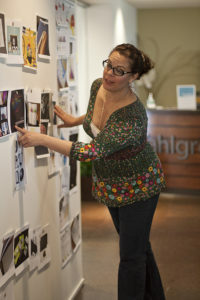 The Fahlgren Mortine team pulls together information such as words and images that describe a client, data on target audiences and information on competitors as part of the discovery process. The discovery phase doesn’t follow a patented five-step program. McDonald says the nuts and bolts of discovery are custom every time if done well. What does remain constant? Knowing what you want to learn and then preparing well, developing a good questionnaire and conducting any other needed research to establish a strong foundation of information. Discovery can be the starting point for a specific campaign or project, or an organization may just hit a “tell it to me straight” moment, especially when facing a transition such as new leadership, a major rebrand, a merger or another significant milestone. In these situations, discovery provides a comprehensive communication audit by a third party, which can give a helpful and objective analysis of how a company is communicating with employees, stakeholders, media, consumers and other potential publics. It can include an analysis of a company’s website, social media channels, graphics, media coverage, branding and print/electronic communications. It can include information from interviews with employees, customers and other stakeholders, or relevant information about the company relative to competitors or the current market environment. It identifies perceptions, missing links, inconsistencies and areas of opportunity. It also can help prevent the dangerous inertia that keeps a brand plodding along in the same (and often ineffective) way even as circumstances and the environment around it change. An objective look at the organization’s strengths, weaknesses, opportunities and threats (a SWOT Analysis) provides a good framework for organizing this information about the current state of an organization and its situation. 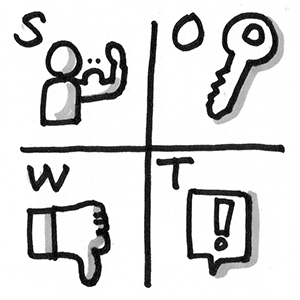 The SWOT creates a bridge between information gathering and analysis and planning.